Last month, we took at look at some of America’s most financially responsible cities. Drawing on data from Experian’s fifth annual State of Credit report, we analyzed more than 200 cities and metropolitan areas based on their average credit scores (VantageScore©), total debts owed (excluding mortgages), balances carried on bank cards and their credit utilization ratios. However, now it’s time to see which populations were on the opposite end of that list. Citizens in these 15 cities appear to have difficulty managing their money responsibly. Having trouble managing your money? Perhaps a debt relief or credit repair agency can help you get back on track. Savannah, Georgia, is a popular tourist destination thanks to its wealth of pristine historic architecture and warm, sandy beaches. 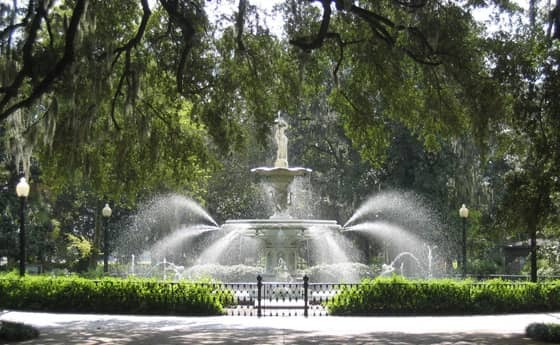 Savannah has plenty of assets to make it thrive economically: prime position on I-95, an international airport and centuries of industrial development dating back to English colonial ventures. However, it seems like its citizens are struggling to match the city’s economic prosperity. 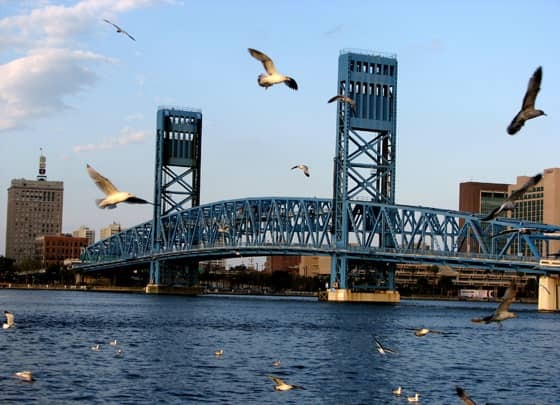 As Florida’s most populous city and the nation’s largest city by area, Jacksonville is a cornerstone of the Sunshine State and the Southeast United States. “J-ville” has something for everyone: a vibrant arts community complete with some of Florida’s most iconic venues, a major league football team, plenty of educational centers and museums, the largest urban park system in the United States and more. Perhaps its citizens are too distracted with those diversions to focus on their personal finances. 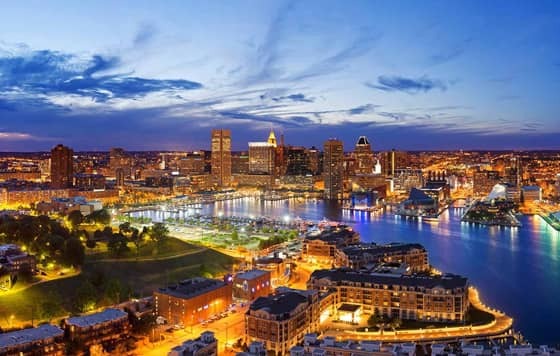 Situated on the Patapsco River, Baltimore, Maryland, got its start back in 1706 to support the burgeoning tobacco trade in the Thirteen Colonies. It’s continued growing since then to become the largest city in the state of Maryland. However, the city has seen better days — with a 11.1 percent unemployment rate in 2012 and a quarter of its residents living in poverty, it’s not surprising that its citizens are having a hard time with their money. No, we’re not talking about Congress or the President. This time it’s the citizens of Washington, D.C. who are having trouble controlling their money. 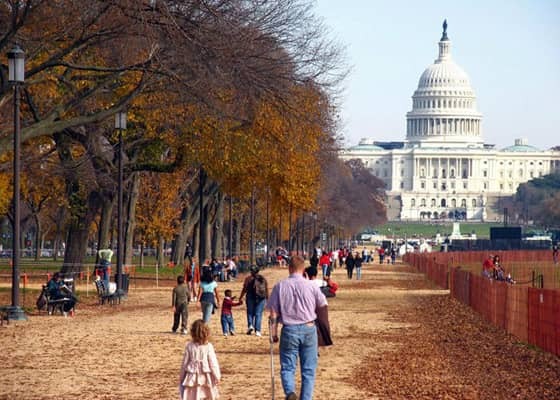 Although the capital itself had a metropolitan gross product of $425 billion in 2010 (almost as much as the GDP of all of Austria) and the highest income per capita in the country according to the U.S. Census Bureau, nearly one in five residents live in poverty. 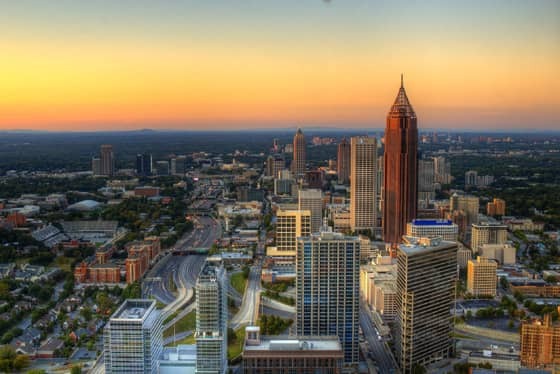 Since it was established in 1837, Atlanta, Georgia, has been one of the most important cities in the southern United States — historically, culturally and economically. Few cities can say they survived Sherman’s March, hosted the Olympic Games and played a pivotal role in the Civil Rights Movement. However, despite its resilience and economic strength, roughly a quarter of its citizens live below the poverty line. Despite the hardships of its citizens, Forbes named the city the #14 best place for business in the U.S. 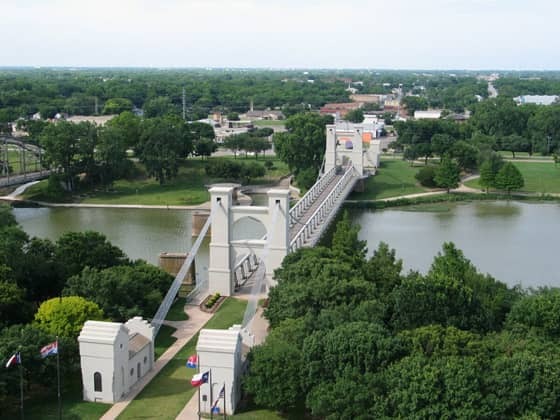 The citizens of Waco, Texas, put themselves on the map when they completed the 145-year-old Waco Suspension Bridge, the first bridge to cross the Brazos River. Hopefully its citizens will rediscover the hard work and entrepreneurial spirit of their forefathers and dig themselves out of debt. We’re a bit surprised Houston made this list. After all, the U.S. Bureau of Labor Statistics showed it was the nation’s #1 job creator in 2013. Plus, much of its economy relies on very lucrative fields such as oil, natural gas, biomedical research and aeronautics. 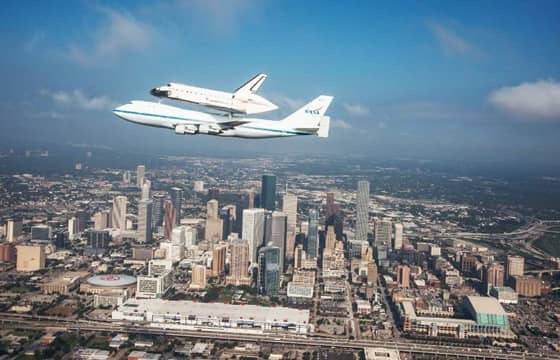 However, the Census Bureau reported a 25 percent poverty rate within the city, and the data provided by Experian doesn’t seem to paint a pretty picture, either — Houston, you have a problem. 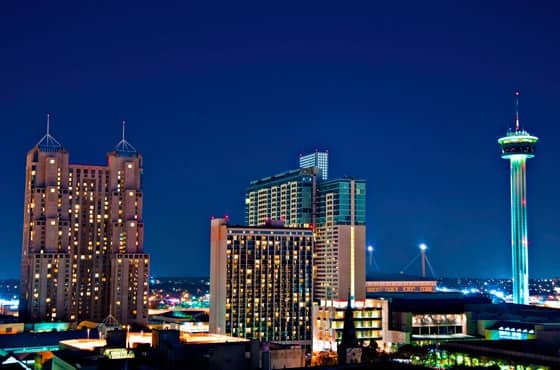 Austin is one of the largest and most diverse cities in the state of Texas. 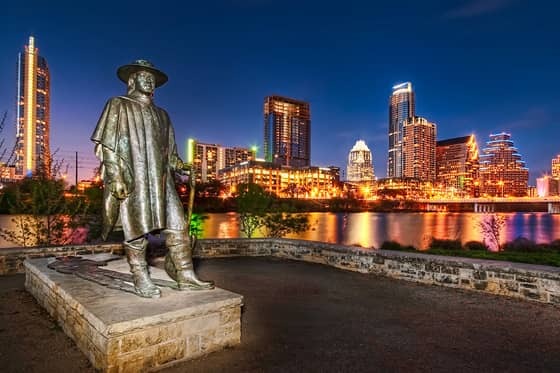 A patron of the arts, host to some of America’s most powerful companies and a regional center for business, medicine and education, you could say Austin has it all. Its residents even enjoy an unemployment rate below the national average and a median household income above the state average — which could explain why they seem so eager to take on debt. 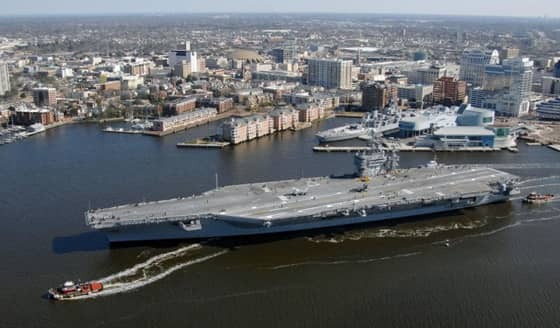 Norfolk, Virginia, is home to Naval Station Norfolk, the largest Navy base on the face of the Earth, so its no surprise the U.S. Department of Defense is the largest employer in the area. However, payday lenders are notorious for targeting honest, hardworking servicemembers, causing them to accumulate debts that could spin out of control. However, new efforts on capital hill could soon help prevent abusive lending to our nation’s armed forces. 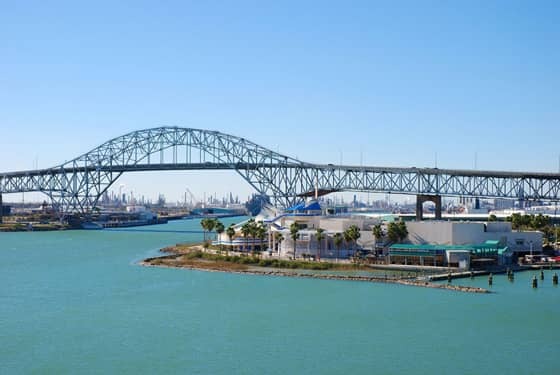 Home to just more than 300,000 residents, Corpus Christi, Texas, is a gem of a city situated on the Gulf of Mexico. The city naturally has a strong maritime influence and is home to the Texas State Aquarium, the USS Lexington Museum and several islands chock full of recreational and retail opportunities. However, we can guess why its citizens might be drowning in debt — their income per capita, average household income and median family income are all below national averages. 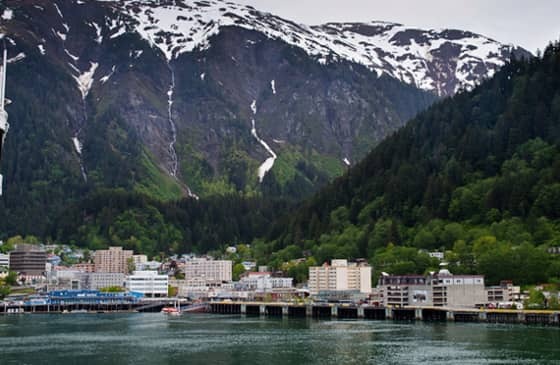 Juneau, Alaska, is a bit of a geographical oddity — the only way in or out is by boat or plan since no roads connect it to the rest of Alaska or the United States. However, that hasn’t stopped residents from building it into the state’s capitol and one of its largest cities. On paper, Juneau is very healthy economically: its wages are high and its poverty rate is very low compared to the rest of the United States. That may explain why its residents are so eager to take on debt. 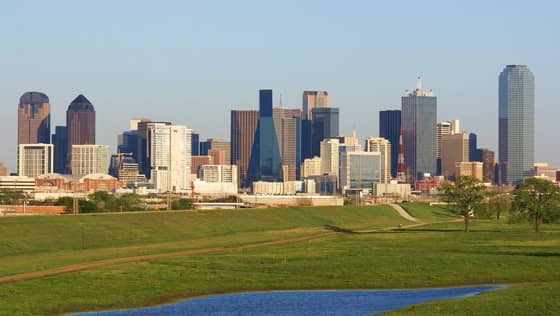 Dallas, Texas, didn’t become the ninth most populated city in the U.S. by accident. Its strategic location along transportation routes and high quality of life continue to make a great place for people to work, grow and live. But perhaps the residents of Dallas are living a little too much. If we’re to learn anything from Experian’s data, perhaps it’s that the folks of Dallas need to work on lowering their debts and improving their credit. Everything’s bigger in Texas, even its residents’ debt. Perhaps that’s why we’ve seen it so many times on this list. The residents of San Antonio are no exception, boasting the most financially irresponsible behavior in the state. But who can blame them? Jobs are plentiful in San Antonio due in large part to companies like AT&T, USAA, Whataburger, Citigroup and Lockheed Martin having offices in the area. According to our internal algorithm, Anchorage, Alaska, actually tied with its neighbor Fairbanks for the #1 spot. However, they seemed to show just a bit more restraint with their average debt and credit card balances (which isn’t saying much). However, if trends on this list tell us anything, people living in vibrant economies appear to be more comfortable taking on debt — which in and of itself isn’t bad, so long as you don’t let it affect your credit score or send you into bankruptcy. For the people of Anchorage, their scores border on the subprime and could use some improvement. 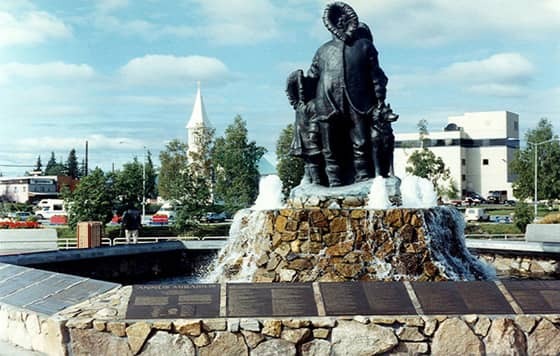 Although Fairbanks, Alaska, has a population of only 32,000, it still manages to rank as Alaska’s second most populous city ahead of Juneau and behind Anchorage. 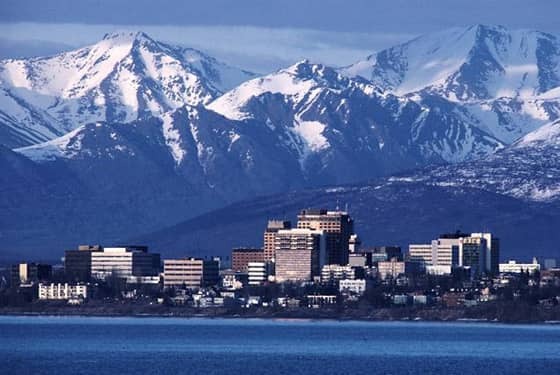 The city is home to some of the best Alaska has to offer, including events like Yukon Quest, a rigorous 1,000 mile-long dog sled race held every year. Ice carving, winter sports and the iconic aurora borealis (“northern lights”) also bring in many tourists every year. 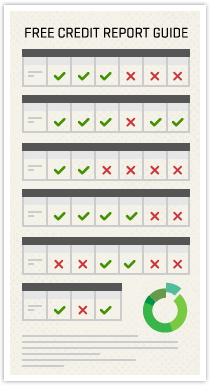 Click here for Experian’s 2014 State of Credit report.